Your are here: Home » Blog » English Class Activities: What our students think. English Class Activities: What our students think. The daily routines support me a lot. I like writing a diary because I’m a person who learns through reading and writing, rather than orally, so by writing a diary I make more progress than in conversation. Teachers’ comments in diaries encourage me to write more! The most useful activity for revision is ‘Taboo’. This is when we work in groups, one person explains a word and the others have to guess. It’s good practice to try to paraphrase language and think of synonyms. In my opinion, productive activities when we speak and listen are the most helpful because we can practise how to use new words and it helps us to remember them. I like doing exercises to practise grammar. In this way we can clarify the rules so they are clear in our minds when speaking. We study grammar and vocabulary every day, then have a test every Friday. This is useful as we have the chance to review what we have studied. It helps us to know what we can do and what we need to focus on improving. We learn academic words, which is useful for IELTS. The teachers also show us how to write and spell words in English. We learn new words every day. We practise using them in sentences, so that we know how to use them. The methods for learning new vocabulary and improving IELTS listening are very good. We do a lot of speaking and writing which helps me be more active in the class. I enjoy playing ‘Kahoot’ as it’s fun and helps us to improve our English. I like playing vocabulary games, because they help us remember words and learn new words. Coming to classes is useful because it helps us with speaking and reading. 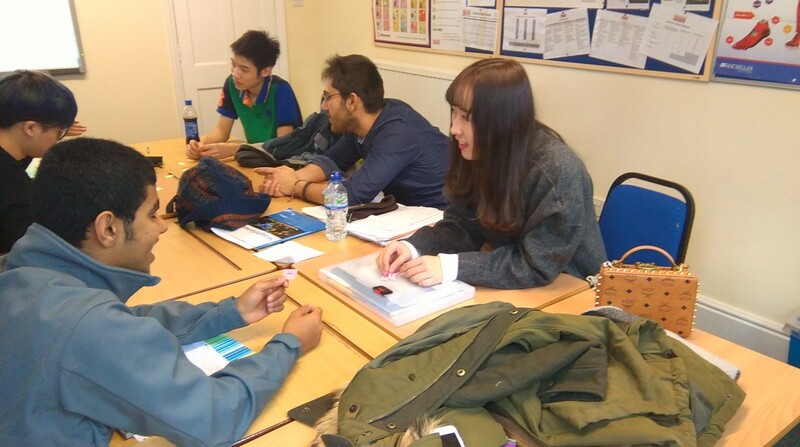 The most useful thing is that we can communicate with students from other countries, which means we have strengthened our knowledge of other cultures and made new friends. It also helps us to develop and practice our spoken English. I enjoy playing board games. There are many unknown words in the games and they help to give us a deeper understanding of the words. I like all the activities, but my favourite is ‘Kangaroo Court.’ It helps us develop our speaking skills and expand our vocabulary. The listening activities are very useful, because we use materials that we don’t have at home. As well as in lessons, we learn through social activities with our teachers. I enjoyed the trip to the Botanic Gardens because the teacher was very friendly and helped us improve our English in a new place. We also had the chance to explore a place in Cambridge and learn about an interesting place in the city. I like practising my English with teachers and other students in social activities, especially bowling, because I love it. Reading every day helps us cultivate useful reading habits. As a foreigner I didn’t have many opportunities to speak English before I came to Select. Here, teachers give us lots of chances to speak in every class. Because of this, my English is definitely better than before. Taboo is a great way to help students memorise new vocabulary and it strengthens the understanding of words by explaining them in different ways. This method also encourages students to speak and communicate better. I like using vocabulary cards because we can remember words in an interactive way. When we use them, we are also practising our pronunciation and developing our listening skills as we listen to each other. 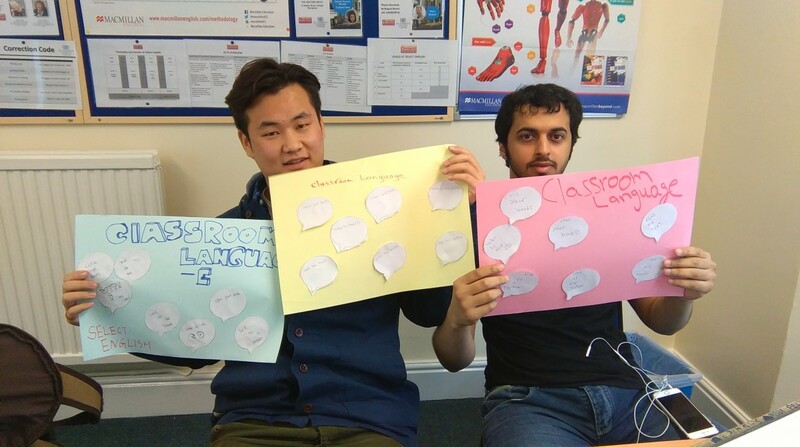 Giving presentations in class has helped us prepare for further study at university. Practice tests for IELTS and CAE have been really useful. I learnt a lot and it was easier for me when I had to take my exam. In addition, I think the use of English activities has improved my writing and speaking skills. I like that we write in our diaries every day, learning new words and my IELTS preparation lessons.